NASA’s Mars Science Laboratory that produced the Curiosity rover brings to mind the kind of skills, knowledge, and teamwork that are required for innovation. Aptly named by a twelve year old, curiosity itself is a powerful driver for innovation. How do we, as a community, nurture the curiosity and passion required for solving today’s challenging problems? Based upon my experience teaching at the K12, college, and adult learning levels, problem-based learning - central to a STEM educational experience and guided by personal interest and inquiry -is engaging for both the learner and the co-learner (formerly known as the teacher). Given an inquiry-based iterative process to tackle authentic problems, learners ask questions, imagine possibilities, plan, create, and improve. Learners bring their own passions and experience to the process, are required to work as a team, and use technology when appropriate. So empowered by the process, learners often hate for the lesson to end. Although a passion for questioning and curiosity can be nurtured by parents at a very early age and reinforced by teachers and mentors, a problem solving attitude can make an enormous difference in the life of a child in terms of rich lives and more interesting, rewarding work. In my quest to identify STEM at work in Louisiana, I was very proud to learn that Keith Comeaux, team chief for cruise/engineering operations and flight director for the landing was a native son and graduate of LSU’s College of Engineering. Although the rover itself is a priceless asset, the more priceless state asset is our students. Can STEM education serve as a catalyst for developing a state-full of innovative problem solvers like Dr. Comeaux? Curious? 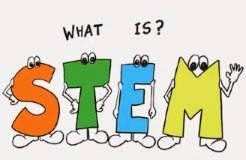 Click here to learn more about the attributes of a STEM classroom.